Downsizing your home can be stressful. Many simply don’t know how to start. Our downsizing services are often used by seniors moving into a retirement lifestyle or seniors looking to downsize as they move into assisted living facilities. 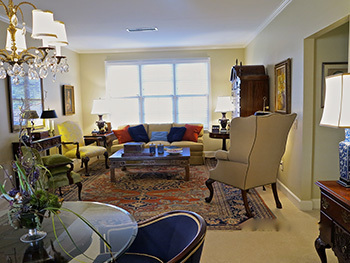 Using an experienced interior design firm with experience in helping seniors downsize will dramatically reduce the stress of this difficult transition. While it is quite a change, downsizing can also mark the beginning of a new fun and exciting phase of life. There are a lot of decisions to make and many carry an emotional element with them. Whether you are downsizing or you are working through your elderly parents downsizing process, we can help ease this transition. Take some of the stress out of downsizing to a smaller home. Contact us to learn how we can help.